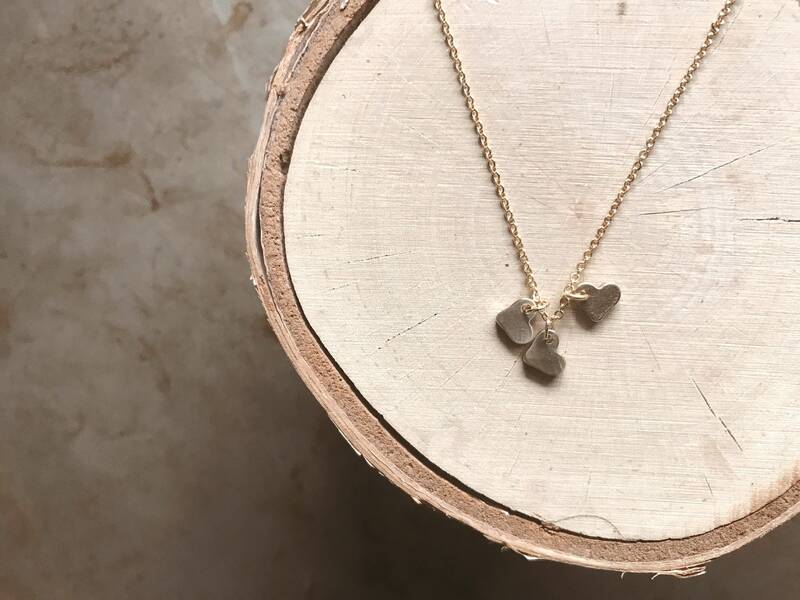 Tiny Multi Gold Heart Necklace // Hearts Necklace // Bridesmaid Mother Necklace // Minimal Heart Necklace // Geo Supply Co. 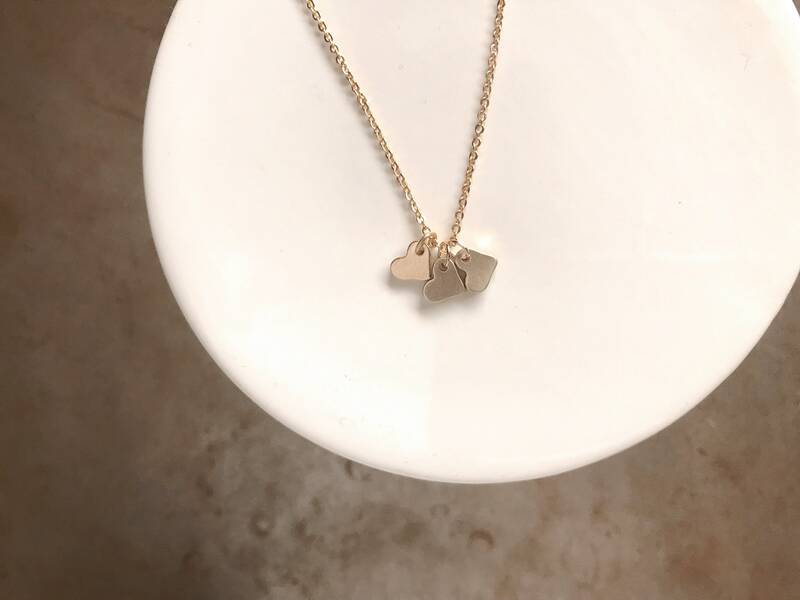 The sweetest, simple necklace featuring a tiny heart. 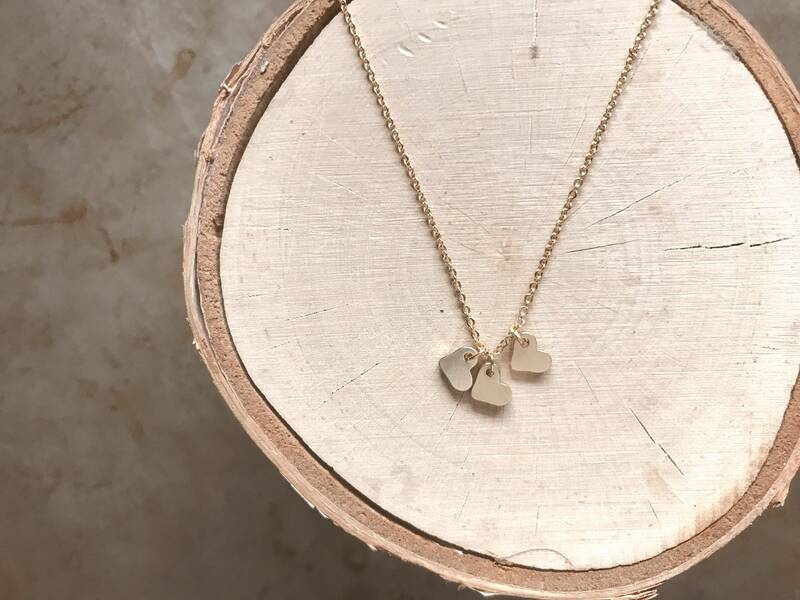 A perfect gift for the one you love or to represent the love or loves in your life. Add up to 5 hearts! 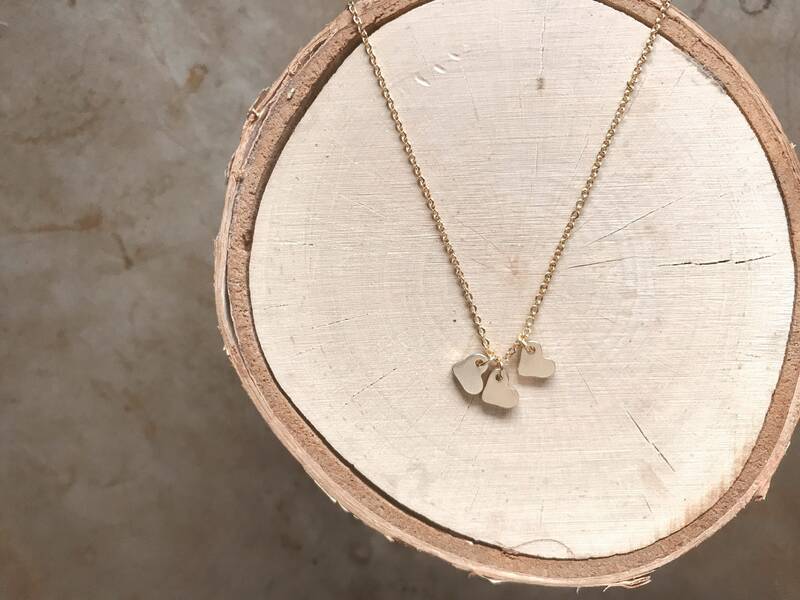 M a t e r i a l s - (charm, lobster clasp, and jump rings) are brass and gold plated rhodium. 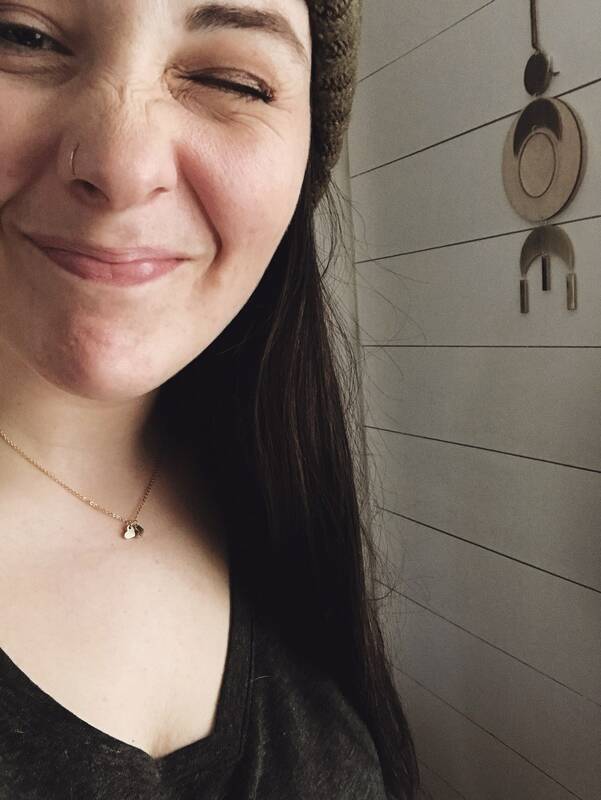 The chain is dainty but strong. 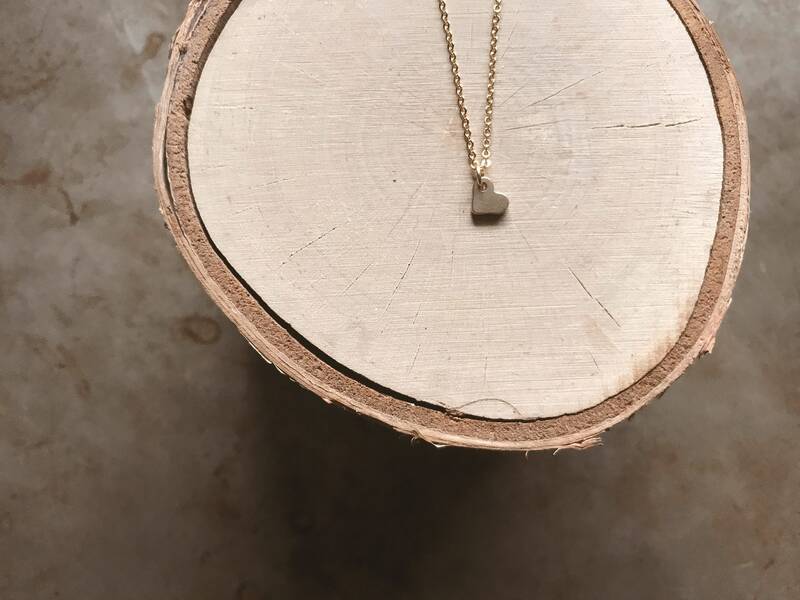 The tiny heart charm is 7mm wide. For cleaning tips, visit my shop policies. 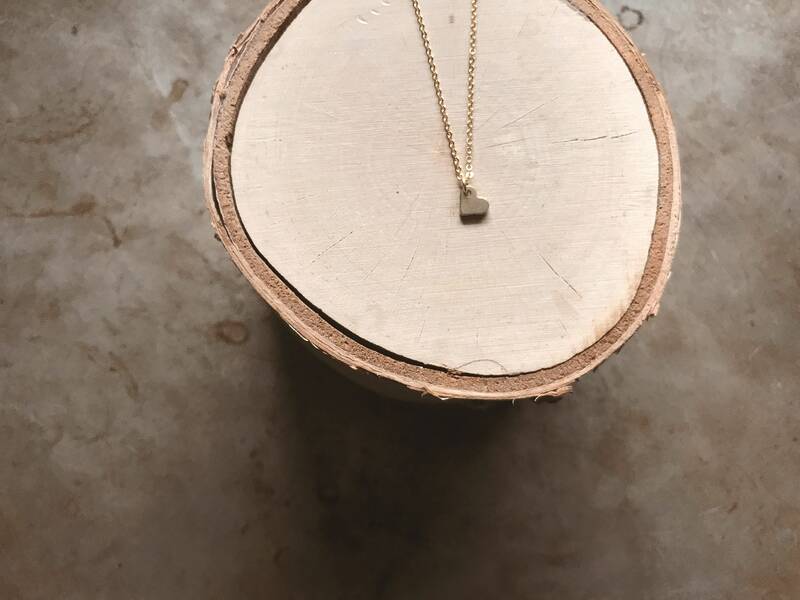 G i f t i n g - All necklaces come in a gift bag or box with the Geo Supply Co. logo. If you are ordering multiple items, let me know if you would like them in individual bags- if not, multiple necklaces will be packaged together. 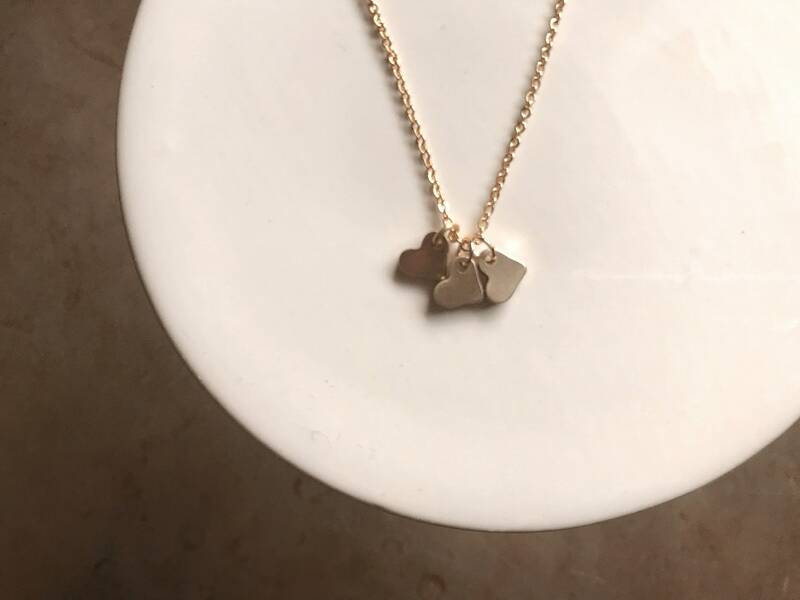 **If you need more than 5 charms or would like a different length of necklace, please send me a message and we can arrange the perfect necklace for you!